There are many games that take a familiar gameplay style and add their own twist to things to try and help stand out from the rest of the pack. This include everything from shooters to RPGs and especially when it comes to strategy RPGs that often fall into very predictable formats. 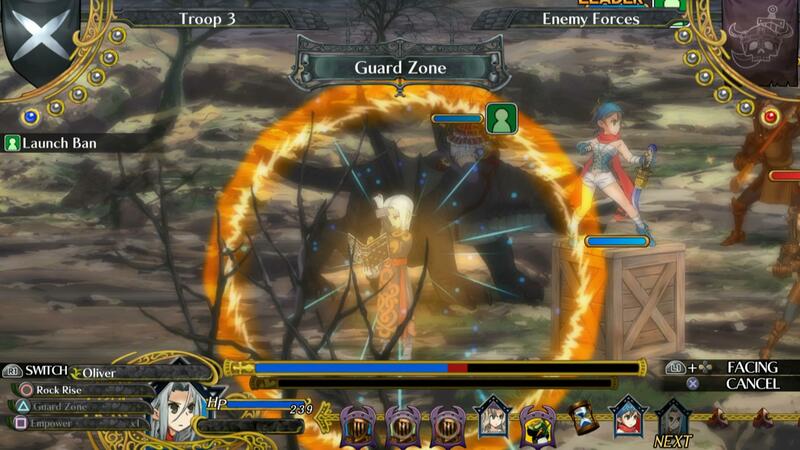 Grand Kingdom, the sequel to the unlocalized Grand Knights History, has now made its way to the West via NIS America and with it offering a new spin on the strategy RPG elements, is it worth your time? Grand Kingdom takes place one hundred years after the fall of the great Uldein Empire where the four nations, Landerth, Valkyr, Fiel, and Magion, that were established after the fall now fight one another for dominance. While these nations battle against one another they generally always employ mercenaries to fight the battles for them in an effort to secure their own forces. Players take control of a fresh band of mercenaries who, after proving to be a gifted force in a losing battle, are invited to take a test to join the largest organization of mercenaries in the land, simply called The Guild. 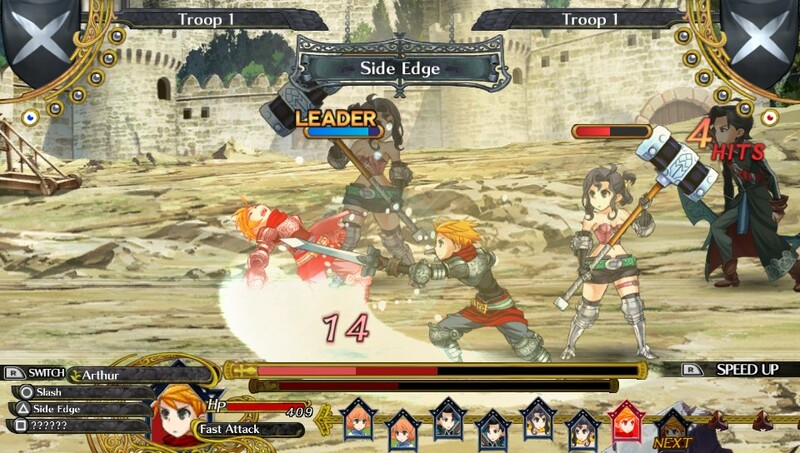 Unfortunately though players will find that they have complete control over who they wish to bring into combat and recruit to fight, they will find that their own role is minimalistic in the story of Grand Kingdom. Playing as a faceless character that they can eventually name that is usually referred to simply as “Boss” the main dialogue is handled by Flint, a soldier under your command, and Lillia, the daughter of the Guild’s leader who is assigned to your band to help with logistics and keeping everything moving smoothly. The title begins with a simple story of simply fighting for whoever wishes to pay the most for your services but eventually begins to develop as The Guild serves as the main focus for driving the core storyline forward and eventually uncovering a plot that affects the entire land. This core storyline is unfortunately very generic and although players are given a rival with a genuinely enjoyable side-story to explore, most of what is on offer here is uninspired. That being said, there is a lot on offer here as far as the story is concerned. You see while the main storyline for the guild does follow this path that challenges those trying to revive the once great empire, players will eventually be able to unlock the ability to explore individual storylines for each of the four warring nations and pledge their loyalty to them. This means that there is a lot of content here for players to dive into, though don’t expect anything complex. 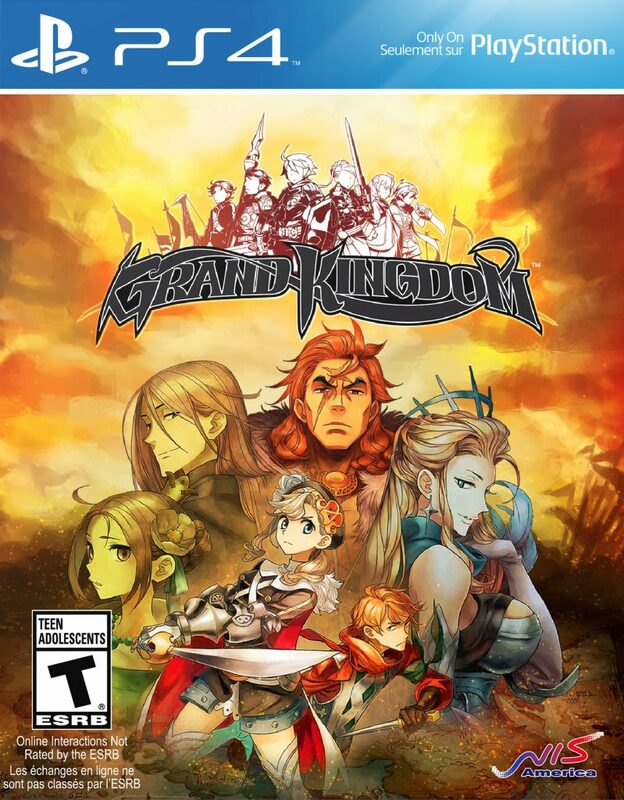 Let’s just get this out of the way first, Grand Kingdom is a slow starting title. In fact the way that the game guides the player through practically every aspect of the game makes it such a slog that it is a struggle to make it past. Thankfully once you clear this tutorial/prologue players will find that they are opened up to a satisfying strategy RPG that actually requires some forethought to succeed meaning that while it might be annoying, keeping a close eye on all of the instructions that the game provides is worthwhile at the start. When not at the hub where they can recruit forces, purchase equipment, and take care of various other basic functions players will be spending the majority of their time out in the field fighting enemies. 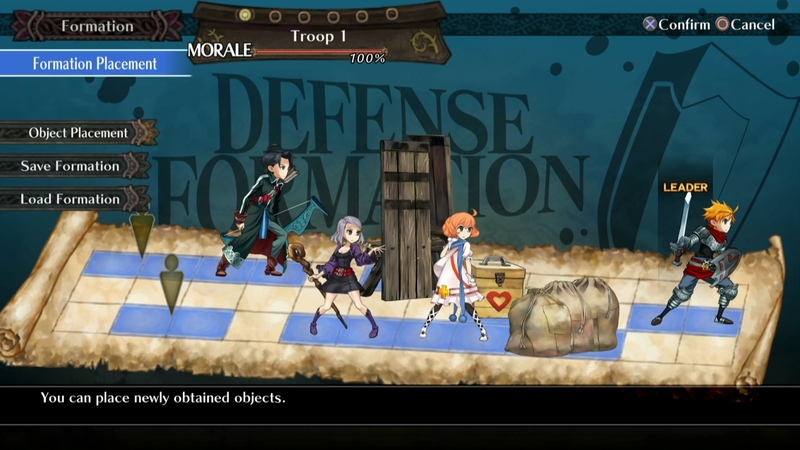 The field map in Grand Kingdom is designed to be something of a board-game where the player’s unit and enemy units are similar to chess pieces that must be moved along paths. Players must move their piece one spot at a time and occasionally they can find items, treasure chests, fall into traps, or uncover hidden paths that allow them to skip past an area or sacrifice turns in an effort to take a shortcut. For almost every basic mission that isn’t simply exploration, players will be given a limited number of turns to complete an objective so whether to avoid fights and take a shortcut or simply powering through is a choice that appears fairly often. This is especially true thanks to the fact that the diagonal camera angle of the board occasionally may result in the player moving in a direction they didn’t mean to. 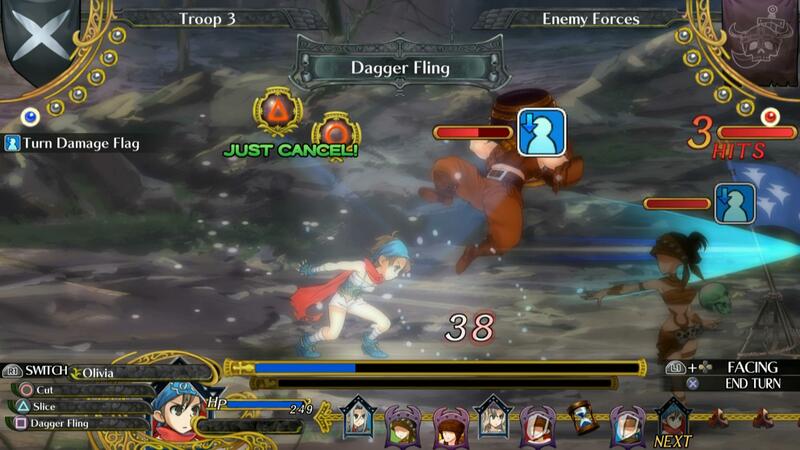 This touchy movement system combined with the fact that enemy units move whenever the player moves means that a wrong movement may end up placing you in combat when you could have otherwise avoided conflict. Thanks to the seventeen classes available to the player over the course of the game, players can craft a squad that fits their play style perfectly or can change things up if a certain mission isn’t working out well for their initial set up as every class plays differently and has unique skills that may help in combat. Each of these classes can be broken down into four types, melee (where the most variety can be found), ranged, magic, and specialty units. These specialty units fit special niches such as being able to heal allies, place obstacles or platforms, and even bring a dominant force into combat at the cost of taking up the place of two units. When you do enter combat players will find that they are placed in a battlefield featuring three lanes where friendly fire is a constant worry. 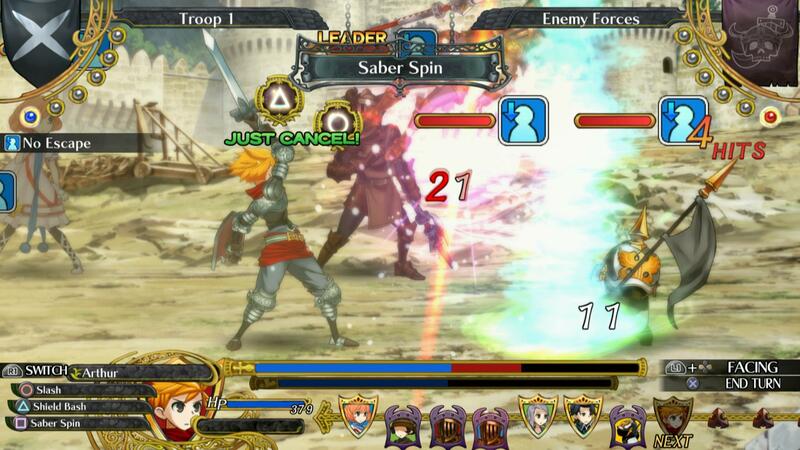 Battle takes place in a turn-based fashion with the turn order being displayed at the bottom of the screen and each unit being able to move in real time when their turn arrives. Players will need to properly place their characters in an effort to ensure that they can maximize their damage output while also hoping to avoid blocking their other units. I say this because it is incredibly likely that you will end up hitting your own team mates when units close in on one another. This is especially true with some classes that have skills that can target separate aisles that may accidentally strike one of your units or accidentally healing an enemy while also trying to heal your frontline solider with a health potion since some strike zones are poorly displayed. In fact some occasions might even call for striking your own team mate once to cause separation and then deal more damage to the enemy afterwards. The enemy is also affected by this and can attack their own units so this is something of a double edged sword that will keep players constantly keeping an eye on who will be acting next in an effort to take advantage of the battlefield layout and take out the enemy without damaging their own team. Outside of the single player campaign Grand Kingdom also supports a satisfying multiplayer component by having the player join up with other players who have signed with the four warring nations. In this mode players can skirmish against teams that have been created by other players and vote on various ways they want the war to progress in a mode that is far more enjoyable than one might expect. Grand Kingdom features colorful and heavily detailed character portraits and a wide array of locations are also available to keep the battlefields and combat feeling fresh. The combat appears incredibly fluid in nature and players will eventually find that they can add various cosmetic items to their soldiers to give them a unique look. NIS America has released this game with their own well-handled English dub and have also included the Japanese voice track for those who prefer that route. As far as the soundtrack is concerned, Grand Kingdom sports a satisfying array of tracks that fit well during battle sequences as well as a wide array of background music that plays while simply exploring the menus at the Guild base. 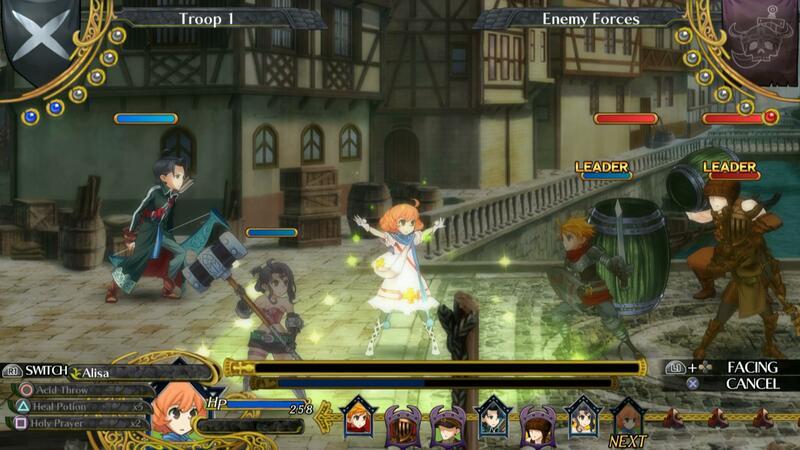 Grand Kingdom puts a bit of a different spin on the strategy RPG genre and turns out for the better because of it. The battle system is one of the best highlights of the title and understanding the complexities of combat while assembling a team selecting from a wide array of classes makes for a highly enjoyable gameplay experience built around a generic storyline. Grand Kingdom might have a few small gameplay faults and a lackluster story but the exceptionally handled combat system makes it a very enjoyable title.